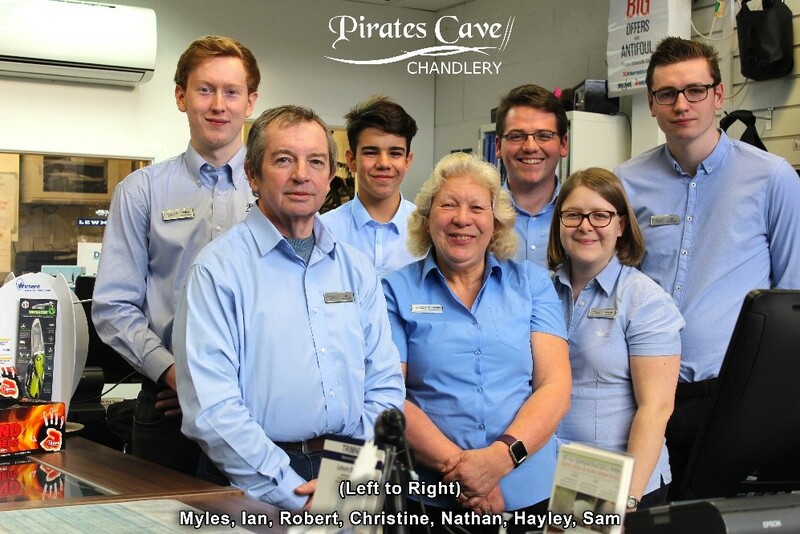 MYC Cruiser Class are pleased to announce that Pirates Cave Chandlery are to become the first of two key sponsors of MYC Cruiser Class Racing for 2018. 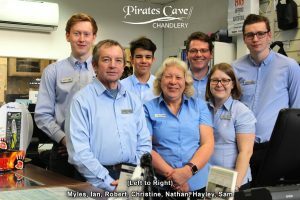 *Vouchers redeemable against purchases in-store or online at Pirates Cave Chandlery, and valid for 6 months from issue. The people behind the sponsors often do not get a mention, so the MYC Cruiser Class wants to personally thank Scott Baillie and his team, consisting of Myles, Ian, Robert, Christine, Nathan, Hayley and Sam. So next time you part with your hard-earned cash buying that “widget” for your boat, please make a point of thanking the Pirates Cave Team for their 2018 sponsorship of MYC Cruiser Class Racing. It will go a long way in sharing the goodwill vibe . . .